Doug Kramer, Cheska Garcia to know IVF result "in a week or so"
Doug Kramer and Cheska Garcia want to inspire others by showing "the beauty of a growing family." Doug Kramer and Cheska Garcia are presently working on adding a fourth child to their family. The couple, who chose to conceive Baby No. 4 via in vitro fertilization or IVF, have been documenting their journey on Instagram since February. "Then we had to explain. Cheska's ligated and magkadikit yung dalawa, Scarlett and Gavin, so it was best that Cheska would be ligated." "Ligated" refers to the birth control method tubal ligation, which involves the fallopian tubes either "cut, tied, or blocked to permanently prevent pregnancy." Doug and Cheska had been okay with having just three kids—Kendra, Scarlett, and Gavin. The cager continued, "And then, after six years, throughout the years, we didn't want to have a baby. "We were very happy with raising three kids, and then suddenly, they all wanted to be an older sibling na. "They wanted to take care of a baby, so why not open up to our fans and say that there is still that chance even if you are ligated? You can still have a baby. "In fact, we have countless of messages, thousands of messages, saying, 'Oh, we didn't know that that was posssible pa pala. "And it's a way for us to be a blessing also, to bring awareness also, you know, the beauty of a growing family." How's the journey so far? "It will depend, like how our body reacts. We're waiting right now if she's pregnant," Doug said. "Obviously, the embryo transfer was done like a week ago. But we will know in a week or so if she's pregnant or not. "If not, we're hoping for the best, but we're also expecting that it might not be good on the first try. "So, we'll see how many cycles we'll actually do before we actually get a baby." Cheska added, "We'll let you guys know in a few weeks." PEP.ph spoke to Doug and Cheska at their latest endorsement, Uratex, held in Makati last March 26. 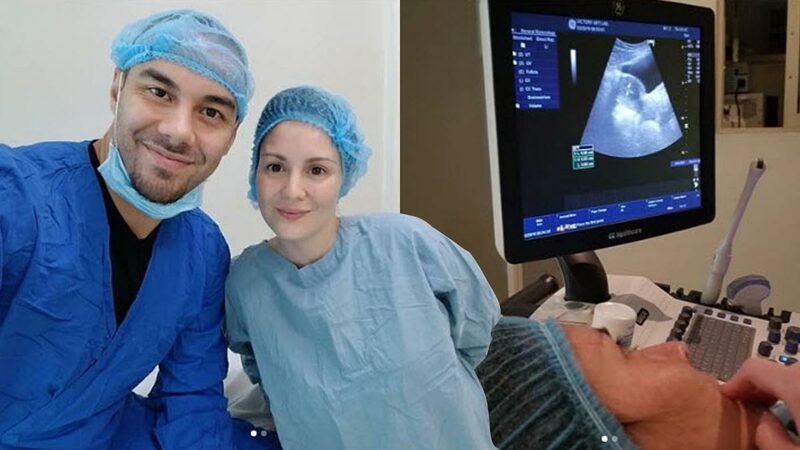 Team Kramer officially began their IVF journey on March 6.